Smothered with flowers. Compact evergreen grey foliage. 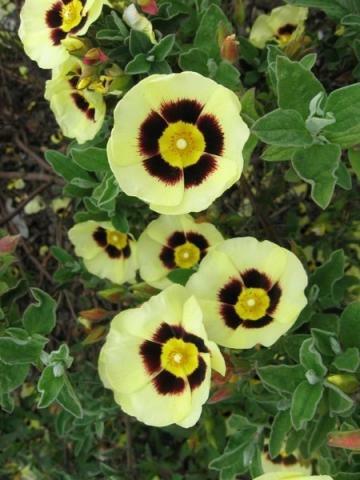 Large single cream-yellow flowers with maroon blotches, June/July. Sun. Good drainage. 60cm tall.